I was due, and hooked up with a friend, Trip Taylor. 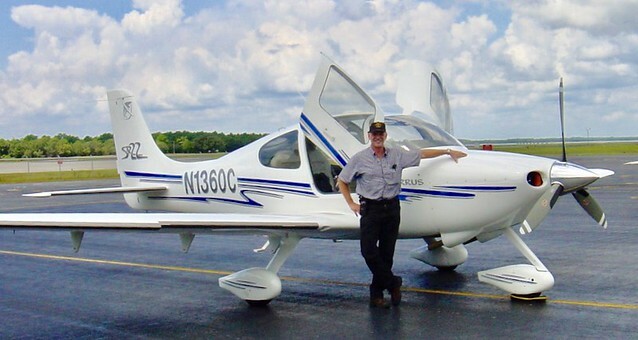 I had met him on COPA back in 2003, and he was nice enough to demo his Cirrus to me when we both lived in S FL. We've remained friends, and even did CSIP training together in Duluth. He's remained very active in the Cirrus instruction world, while I eventually stepped up to Light Sport. We'll eventually be neighbors at Big T Airport in Lenoir City. 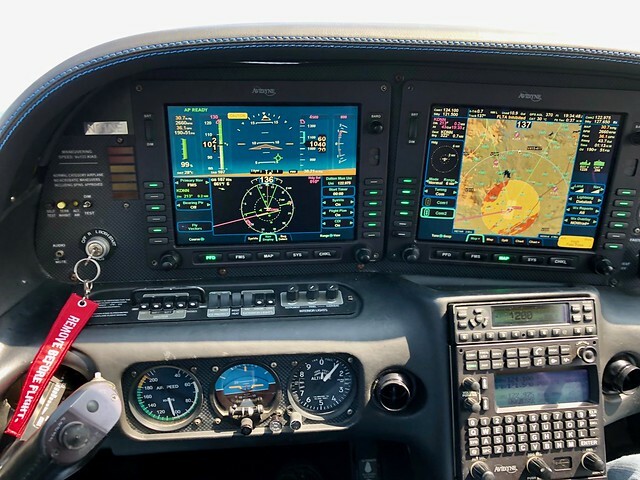 His plane is a 2005 SR22 Turbo, upgraded to Avidyne R9 avionics and freshened up with a gorgeous paint job. Realistically, I think it would take me 5 or 6 hours of instruction on the avionics to get comfortable enough to solo, even VFR. Though if I cheated and just used my 496 or iPad/iphone to navigate I could probably manage a VFR crosscountry now in a pinch. We flew from Copperhill over to Dalton, GA and did a bunch of touch and goes. A couple regular, a soft field, a short field and a power off. All went really well - better than I had hoped. Then did some airwork and returned to Copperhill for another power off approach and landing. Anyway, nice spending time with an old friend and again sampling how the other half lives! Nice looking airplane. Was it a SR-22 you were flying before or the SR-20? Avidyne has quite a setup in there. In 2003 I sold my Tiger and bought a 2003 factory demo SR22 with about 165 hours. For about 1/3 of what a new one costs now. Great plane, but as my life situation and mission profile changed it was just more plane and more expense than I needed. Hence the move to Light Sport. 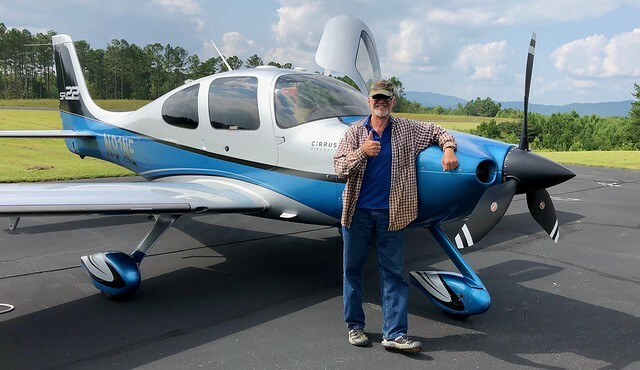 Now, with Basic Med I hope to get more opportunities to fly in Cirrus’. But Light Sport is still the “sweet spot” for me. With your money, you might as well own 2 airplanes. Keep the SkyArrow for flying back and forth to your other home, and buy another Cirrus for long distance travel. TimTaylor wrote: With your money, you might as well own 2 airplanes. Keep the SkyArrow for flying back and forth to your other home, and buy another Cirrus for long distance travel. Have to see how much is left after the whole “Pole Barn” fiasco! Anyway, if I play my cards right, I may be able to borrow a Cirrus when the need arises!